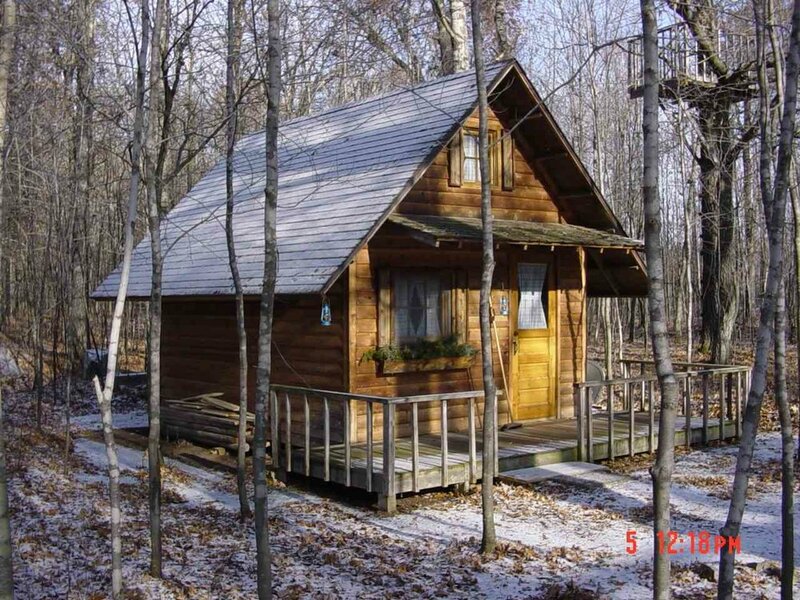 Perfect for a weekend shelter or deer camp; this 12' x 16' cabin is a great way to start. It is very conducive to many variations. The loft is in the rear half of the cabin leaving an open vaulted ceiling in the front. A covered porch can be added to the side to create inexpensive added space.